(Ben Avery Shooting Facility, Phoenix, AZ) I just returned back to the hotel from the first day of this 5 day National Championship of Cowboy Action Shooting, organized by the The Arizona Territorial Company of Rough Riders. 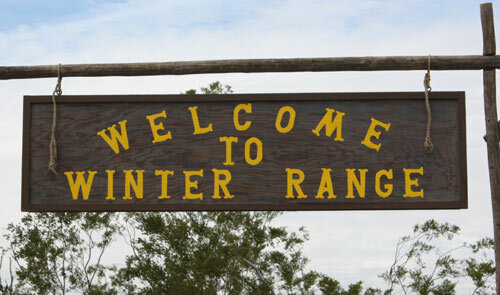 It was sunny and the temperature was perfect during the first day of the event where shooters competed in sidematches like Long Range Rifle, Speed Pistol and Speed Shotgun. 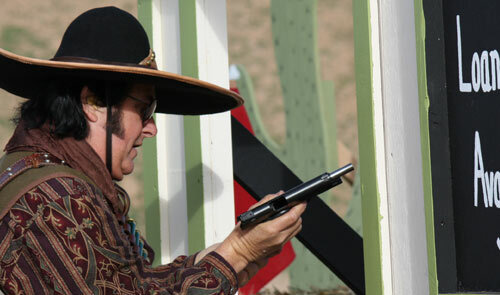 The main event today was the Wild Bunch Side Match, where shooters competed with a 1911 pistol in .45ACP, a .45 lever action rifle and pump shotgun.. 71 Wild Bunch shooters, including Ron “Tupelo Flash” Stein and Michael “Wolf” Bane went through and completed 4 stages. Combine that with over 600 registered shooters and 60 vendors offering clothing, guns and accessories…and I’d say that it makes for an event that will keep everyone having fun for the next 4 days. Two Sons, Doc Molar, Crazy Kurt shot 1st place in their Wild Bunch categories. See links to complete results below. Sounds like a grand time. Congrats to Doc Molar, Two Sons and Crazy Kurt. Hope everyone has fun over the next three days of the main match. We had a blast… I can’t wait for next year. I am figuring out this accuracy before speed stuff that Marshal keeps drilling in my head. I had more than several ‘human errors’ and the best thing about it them is.. I really learned from each pone of them and hopefully will not do repeats.. and if I do? Then maybe I won’t battle-rattle so easily. 🙂 So for my 2nd match I think I came away with lots of great lessons ..more fun than I’ve ever had..and now I’m ready for Land Run and more lessons in humility.. haha. LongHunter: So sorry you couldn’t make it this year. It was a great match.